An educator for 32 years, Tracy retired from Humble ISD June, 2017. While teaching, she worked part-time with Pet Pals of Atascocita during the summer months, beginning 2005. Tracy is a Pet Sitters International Certified Professional Pet Sitter. Pat Rogers and Larry Rogers work part-time with Pet Pals. We are thrilled to have our former owners and founders back with us, caring for our clients and their babies. Missing everyone so much, they couldn't resist coming back! 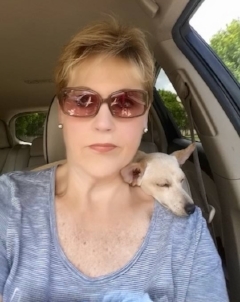 Elaine Johnson works full-time with Pet Pals taking care of daily, weekend, and holiday visits. She is very upbeat and enthusiastic about all the pets in her care, but we secretly call her the “cat whisperer”. Tommy Sumpter has a full-time “real” job, but is also available for pet sitting weeknights and weekends. Clients are pleased to know he has been Pet First Aid and CPR certified.